We have amazing accountability tools in our weekly report and regular 9 week goal sessions which helps guarantee results for our clients. We set and monitor their goals weekly. To ensure that we deliver outstanding results, we are seeking enthusiastic, motivated trainers. No experience is required as each trainer we employ receives a PT mentor who personally trains them to become an outstanding personal trainer quickly. To assist in this process, we also provide our trainers 4 days of induction training, ongoing modules, weekly team training and individual meetings. 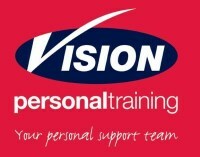 Join the Vision Franchise headquarters team in Franchise support, training, administration or marketing.